Pre heat oven on the CircoTherm® at 200⁰C. Peel the potatoes and onion then dice into 2cm squares, cut the broccoli and cauliflower into small florets, cut each zucchini into 6 pieces then take the seeds out of the capsicum and cut into 2 cm pieces. Place everything into a large mixing bowl with the garlic, ginger and soy sauce and mix everything together. Line a universal or baking tray with baking paper, place vegetables on tray and place into the oven on level 3. Bake for 30 minutes. While the vegetables are cooking, place soy sauce, mirin, brown sugar and sesame oil into a saucepan. Using a fine grater or microplane grate garlic and ginger into the saucepan. Place saucepan over medium heat and cook sauce for 5-10 minutes to reduce slightly. Allow to cool. Line a universal or baking tray with baking paper. Brush salmon fillets with teriyaki sauce. Place salmon on tray. Add salmon to oven when there is 10 minutes remaining on the vegetables. Cook salmon for 6-10 minutes depending on desired degree of doneness and thickness of the fillet. Brush with teriyaki sauce once during cooking time. Any remaining sauce will need to be reheated to serve with cooked fish to ensure food safety. 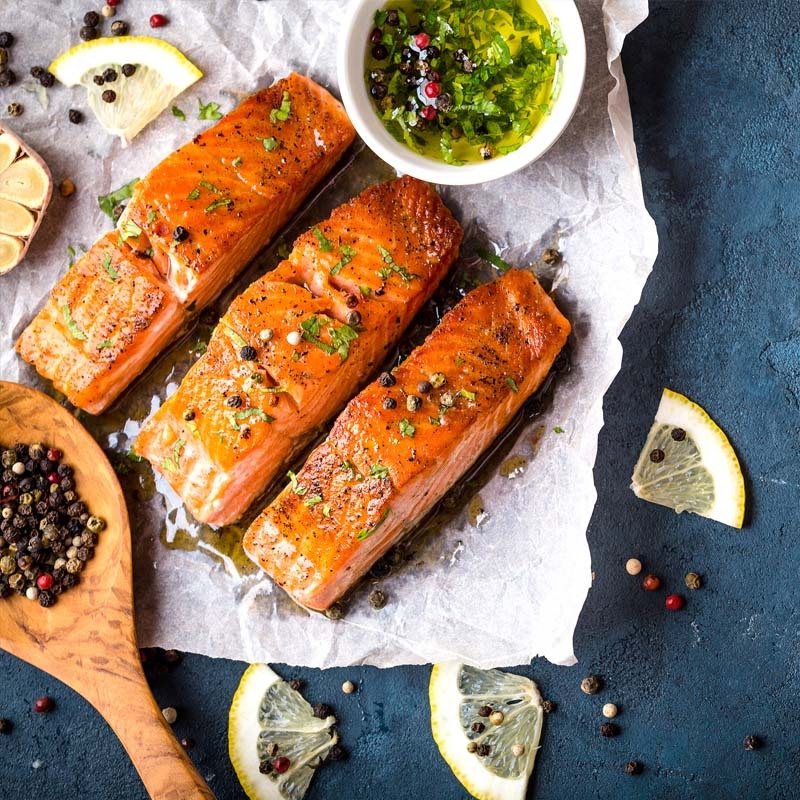 Remove vegetables and salmon from oven and serve. 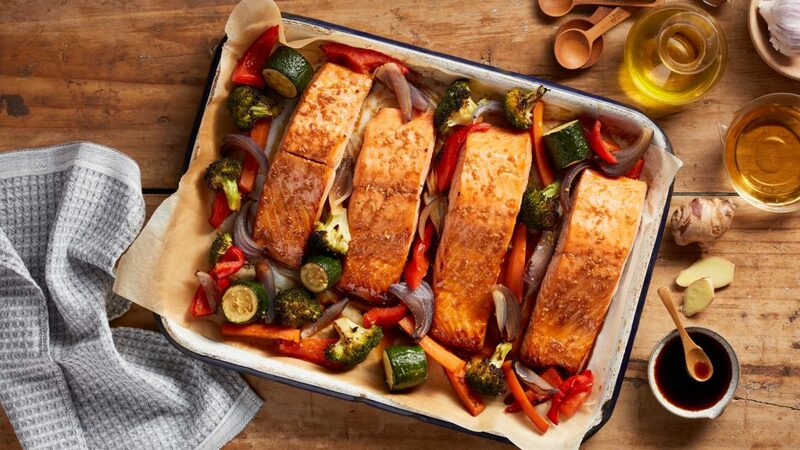 If VarioSteam® is available, when cooking the salmon select a medium level of steam.